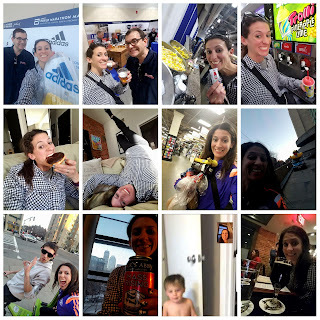 Full of highest highs and lowest lows, one long blog post about it just touches the surface. I set a boatload of running PRs. 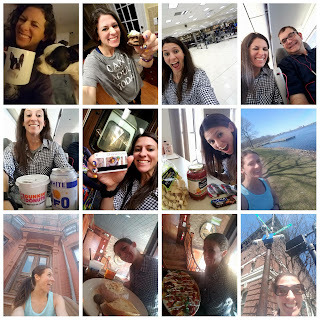 I traveled to 9 countries and 9 US states. I volunteered at 3 races and completed 2 pacing gigs. 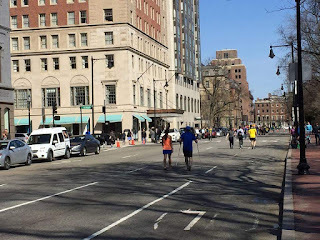 I watched Adam give everything he had on Boylston Street and felt my heart break when he couldn't go on. I felt ashamed and broken with my job loss at the end of June. 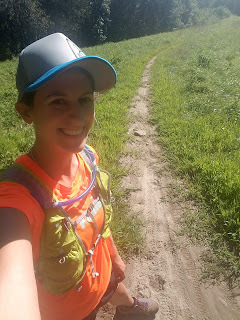 I spent the summer chasing course records - finding a new sense of grit and determination. I started a new career and happily found myself less stressed and more balanced. My body aches a bit more than it used to, but my mind is the strongest it has every been. Shoutout to Megan for the awesome racing nail art! 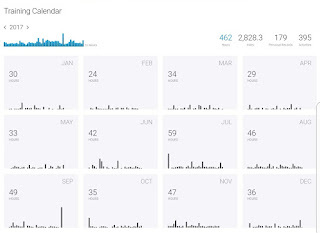 Strava stats - 2,600 running miles, 2,828 including walking/hiking miles. *Adam has a recorded time of 1:12:19, but I'm not listed as a finisher? I returned to run the G.U.T.S. 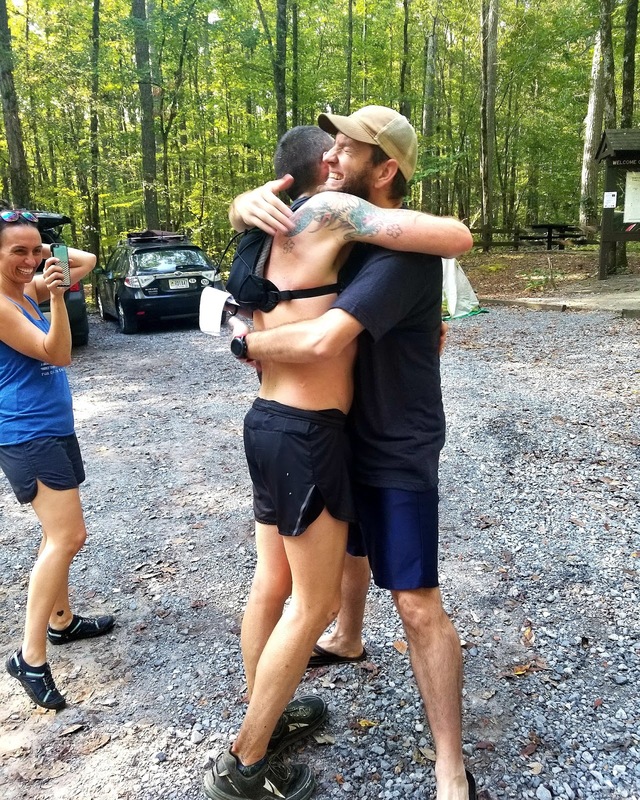 (Georgia Ultrarunning & Trailrunning Society) 50K a week after I had completed a 6-hour race. It was 16°F at the start and I spent a good bit of the race in the mental pain cave. 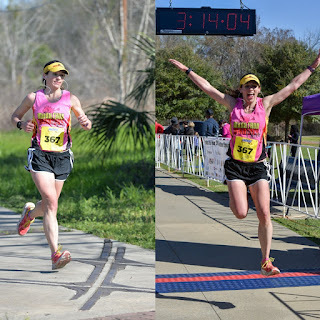 But, I ended up 1st female, 4th overall, and improved on my time from 2016 completing the race in 5:16:24. 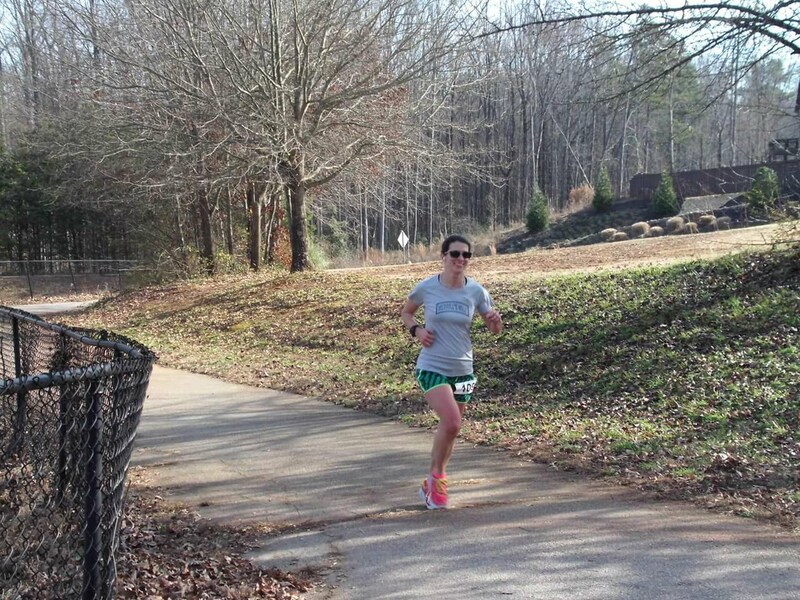 A few weeks later, I got a terrible sinus infection and actually took a few days off running. Adam & I flew to Miami to visit his parents that weekend and I naturally jumped on the chance to run the Miami Marathon (again). 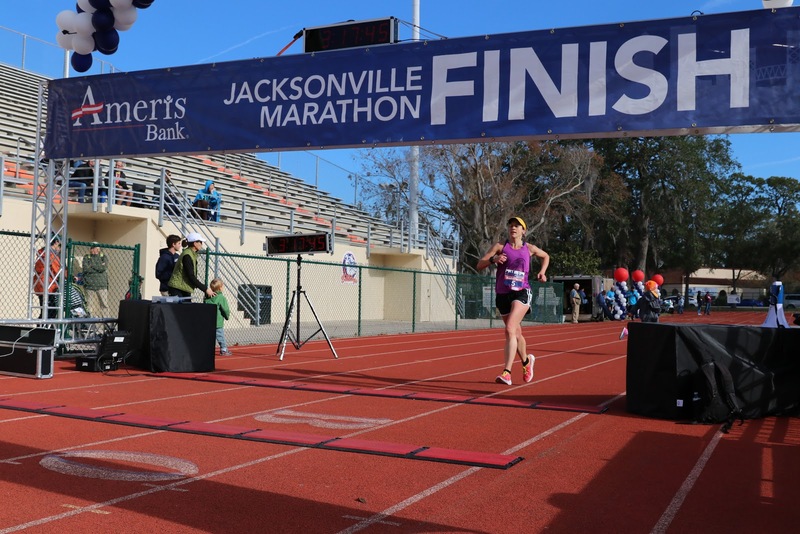 The extra taper must have helped because I had a huge negative split - a 1:42:01/1:38:33 with a finish of 3:20:34. I felt so good that second half! Feeling pretty good about my fitness, I decided to run the Mercedes Birmingham Marathon 2 weeks later. 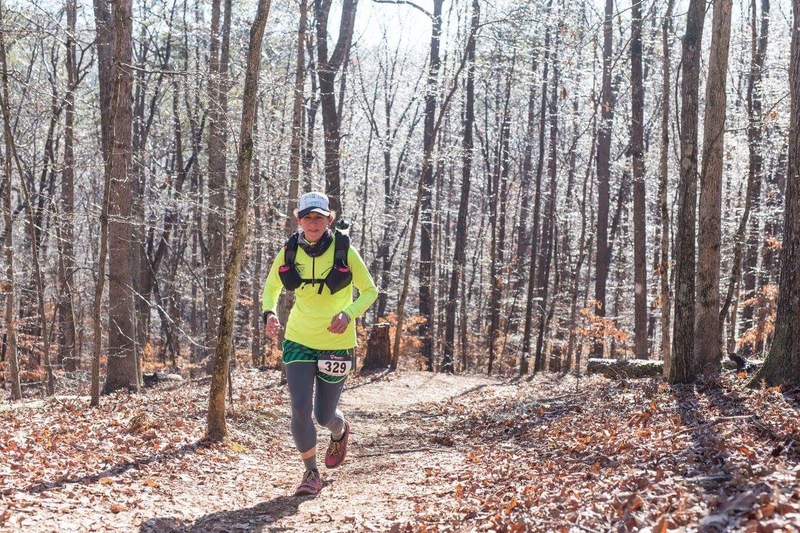 Typically it is cool and while the course is a bit hilly, it is still reasonably fast. 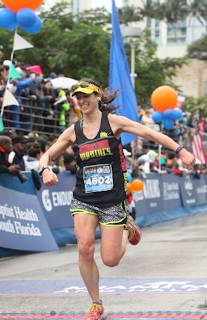 However, it was humid on race day and I ended up feeling the complete opposite of Miami in the second half. But going out fast paid off with a 7 second PR - 3:19:15! 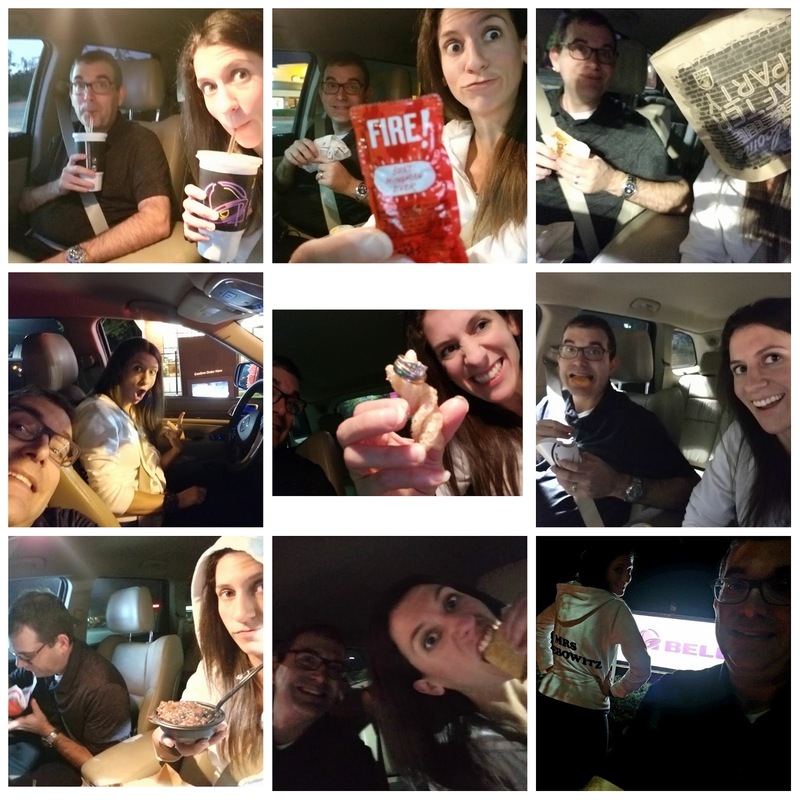 The best part was the mini road trip with Megan & Frank. They let me crash in their hotel room, drove me to the start, and came to cheer me on at the finish! Plus, we took a mini tour of where I used to live in Vestavia Hills and filled up on Milo's before we left town. Albany had been in my back pocket for awhile. A lot of the local tri people I run with had touted it as fast and flat. 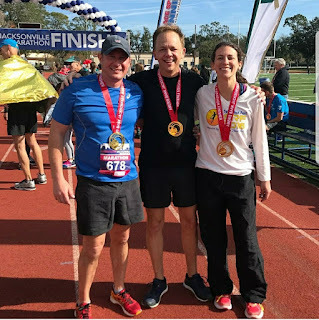 So I did a couple of tune-up workouts and 3 weeks later, I was racing my 3rd marathon of 2017. 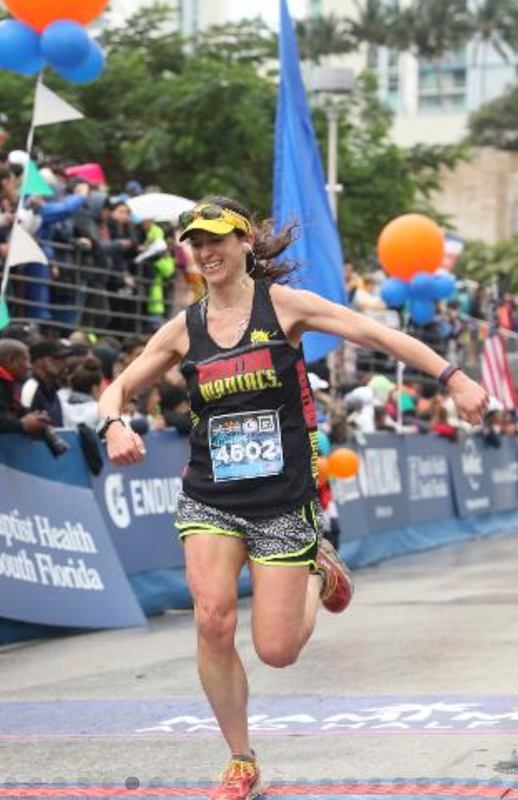 This time I was nervous, but confident that I could pull off a sub-3:15 marathon if it was my day. I had recently found out that I didn't get into the lottery for the NYC marathon so I was extra-motivated to get a time qualifier. Everything went perfect. 3:13:58! While there were other silly challenges I partook in, my favorite Muskrat Challenge Event involved eating a pie (1/3 per mile) and running 3.14 miles. I'm proud (??) 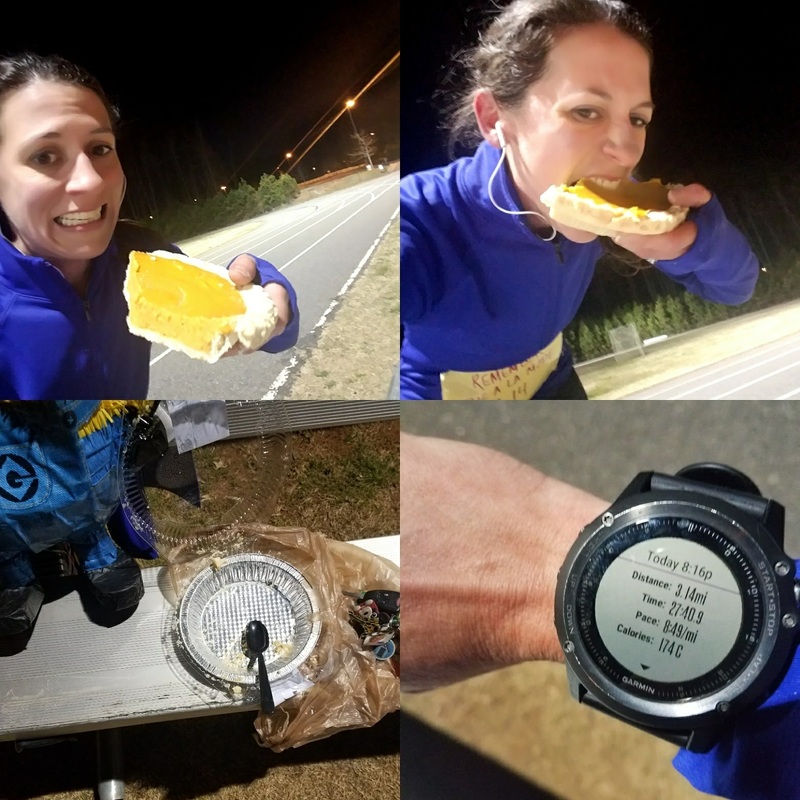 to say I ate an entire pumpkin pie AND ran 3.14 miles in 27:40. And I didn't puke! 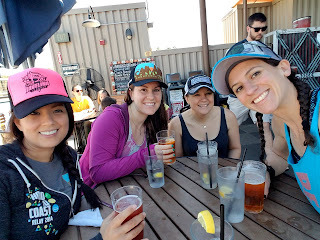 I did my version of a girls weekend in early April. Jenster hosted myself, Angie, and Caitlin in Raleigh. 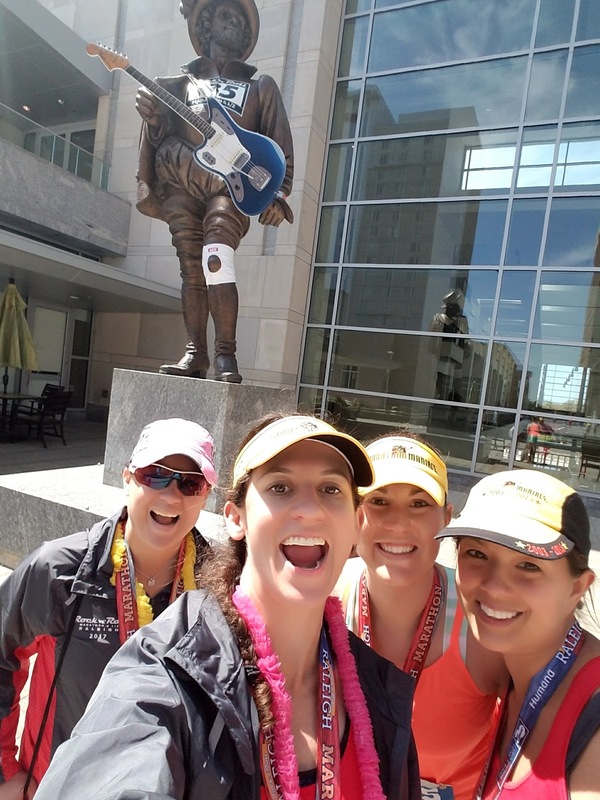 We spent 5 hours Saturday helping at one of the Umstead 50/100 mile aid stations and paced/raced the Rock 'n' Roll Raleigh marathon Sunday. 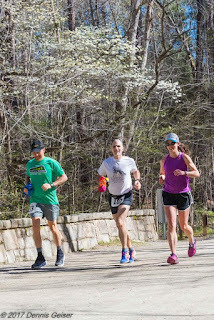 I was lucky and saw both Casey and Jay while we were doing a short run at Umstead! Then I got to see John (running) & Casey (spectating) at RNR. I paced the 3:45 group and we came in a little fast at 3:43:56! There was lots of beer, food, and laughing and I was super sad when I had to leave Sunday afternoon. After Raleigh, there was BOSTON! 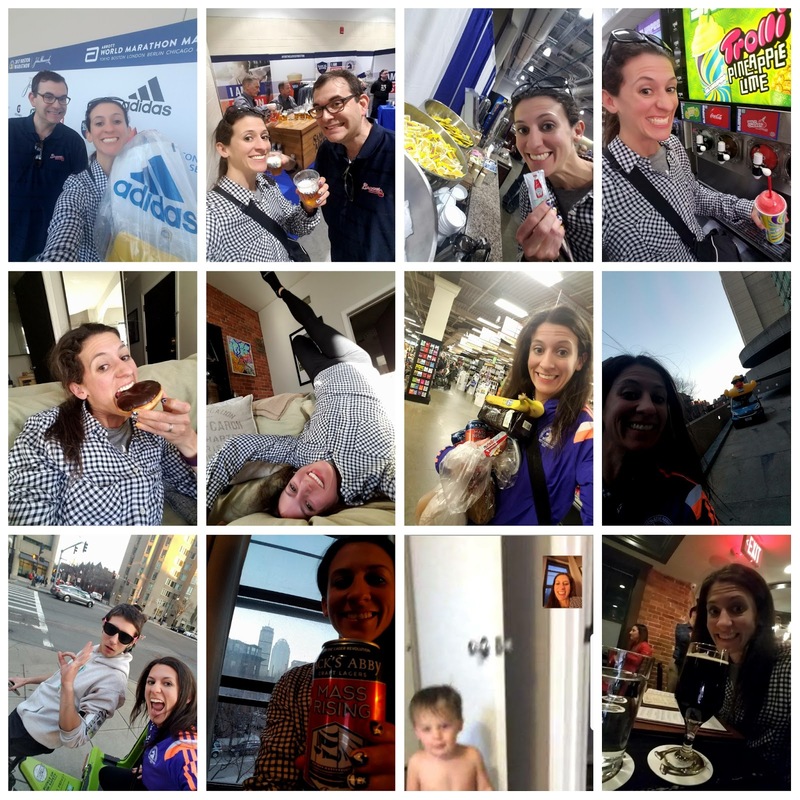 We traveled north on my 35th birthday and I celebrated the day with 35 selfies. 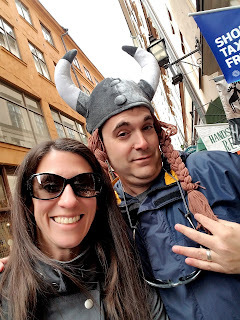 Saturday, Adam and I walked the BAA 5K. 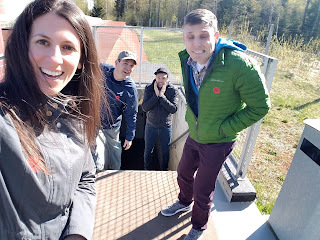 I still haven't posted my blog about it yet - it's been 8 months, but it still hits me in the feels when I think about it. 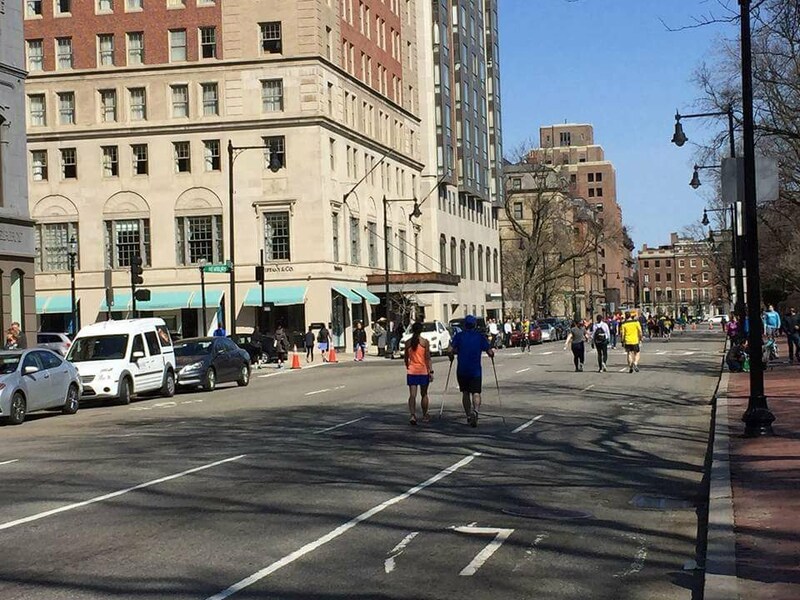 We covered 2.62 miles before he collapsed for the final time just beyond the marathon finish line on Boylston. You know when you love someone so much and all you want for them is to be happy & healthy? And you are so insanely proud of them for having the courage to try? I'm not crying, you're crying. 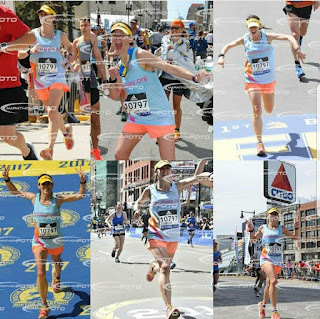 The following Monday was my 3rd Boston Marathon. It was warm, but there was a tailwind. I raced hard from the beginning and the Newton hills chewed me up at bit. 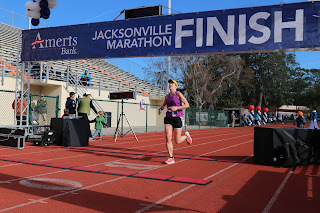 But I pushed hard again the final 10K and ended up with a 4 second PR - 3:13:54! After years of taking vacations that centered around running, we celebrated Adam's (belated) 40th birthday by taking a trip of a lifetime. 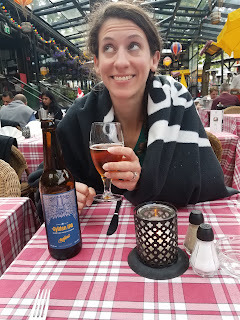 We traveled to Amsterdam via London and spent the night in a tiny little town near the airport. 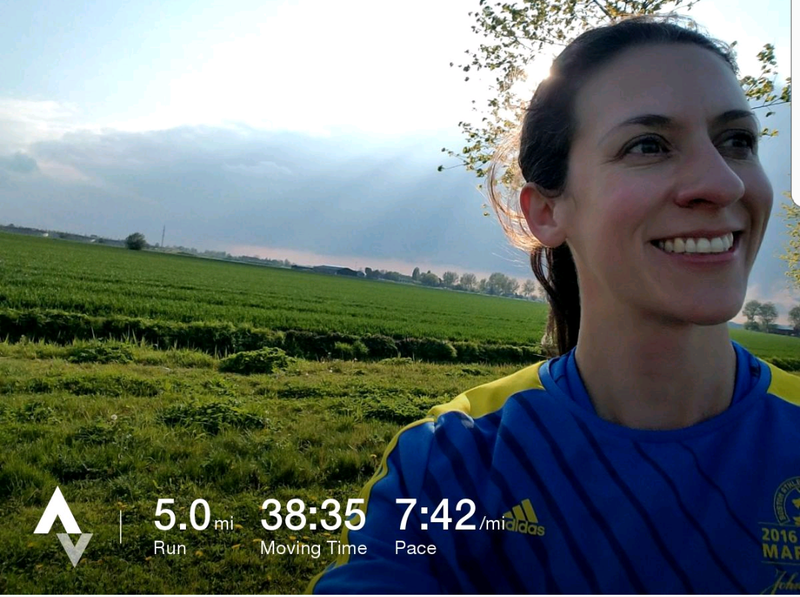 I shook off jet lag with a run of course. 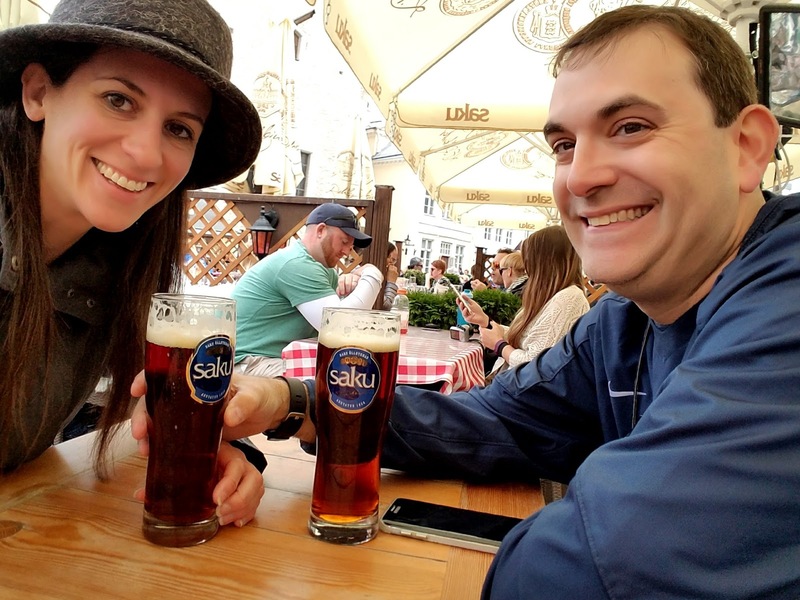 We then traveled to Copenhagen where we hopped on a cruise ship and traveled to Latvia, Estonia, Russia, Finland, Sweden, Lithuania, and back to Denmark. We spent a few days in Copenhagen before returning home and I got in a few land runs after nearly 2 weeks of the ship treadmill. Highlights were crossing off a bucket list item (seeing the Hermitage Museum!) and meeting a fantastic group of people that we shared dinner with each night. 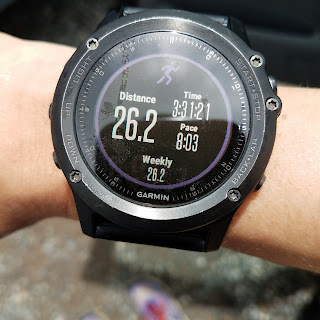 Keeping my marathon-or-more streak alive for one more month, I somehow managed to run a solo 26.2 on the Greenway a week after returning from our trip. 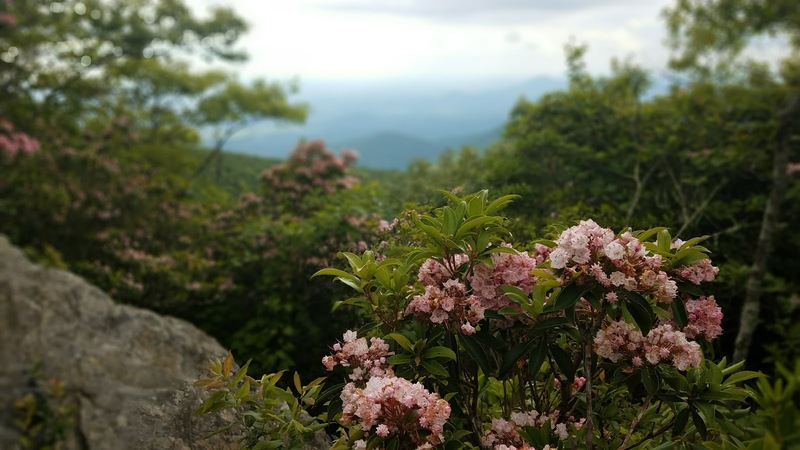 I went on a solo camping trip for about 36 hours in early June. I ran/hiked 50 horizontal miles and 2 vertical miles. It was definitely one of my year highlights (aside from losing my bear vault) - falling asleep exhausted just after sunset on the side of Tray Mountain was truly awesome. I entered the Midsummer's Night Dream 6 hour race in hopes to grab some mileage and get some overnight running in as a kickoff to my buildup to Hinson. 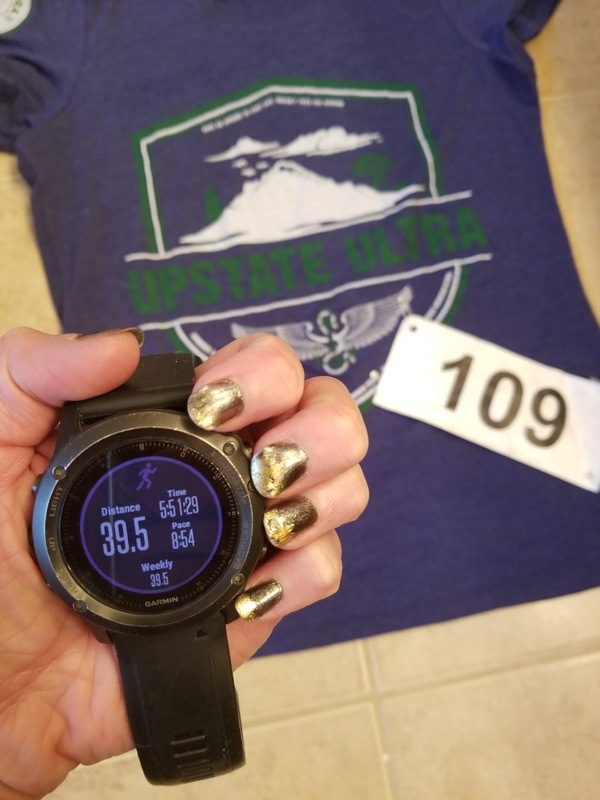 I felt better than the prior year and ended up with 39.3 miles total, a first place overall, and beat my own course record! 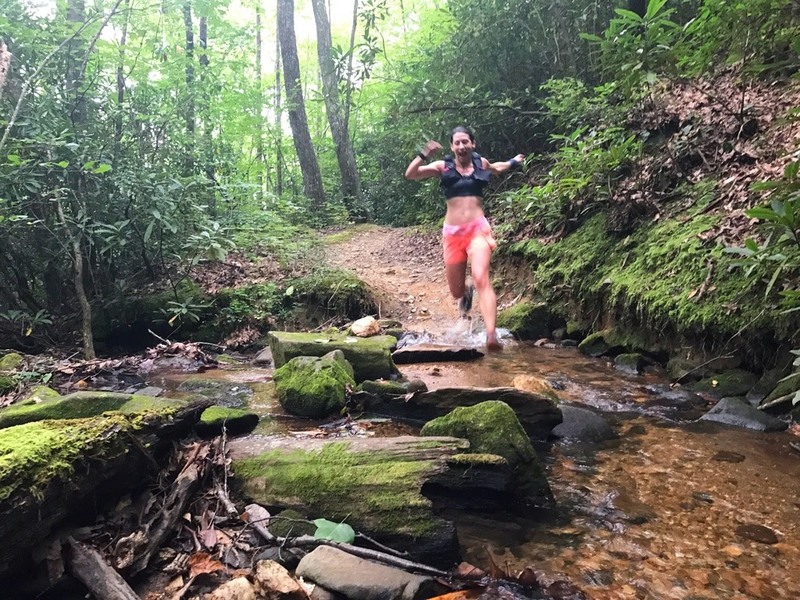 After losing my job in late June, I was having a hard time figuring out what running need to be in my life. An outlet? A pain reliever? A way to control something? 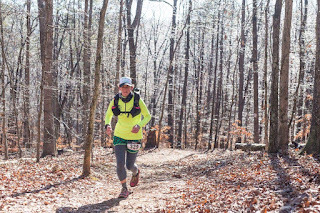 It kind of took the brunt of all of that which was fortunate because I was all signed up for the 12 hour race at Merrill's Mile. 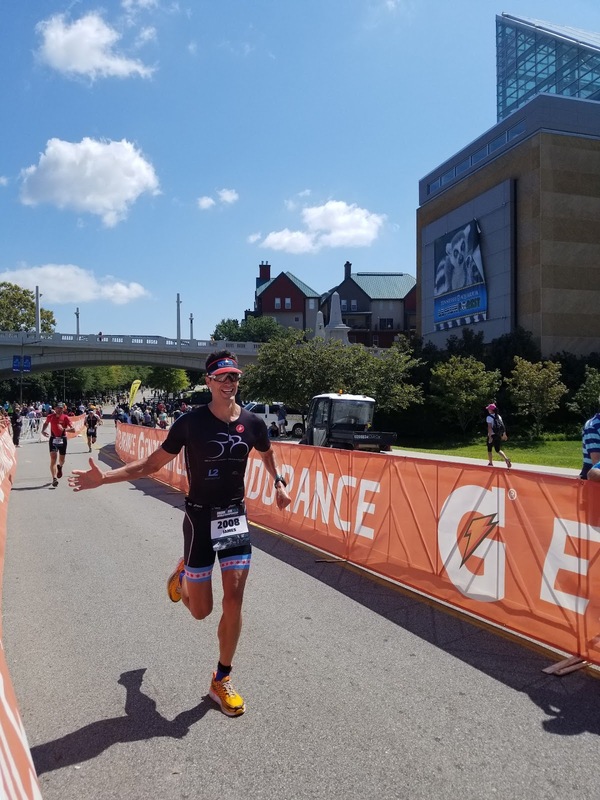 Cooler temperatures and a new sense of grit made it possible to complete 70.3 miles, beating my own female course record and taking another overall win. I set a 100K PR in the process - 10:13:45. 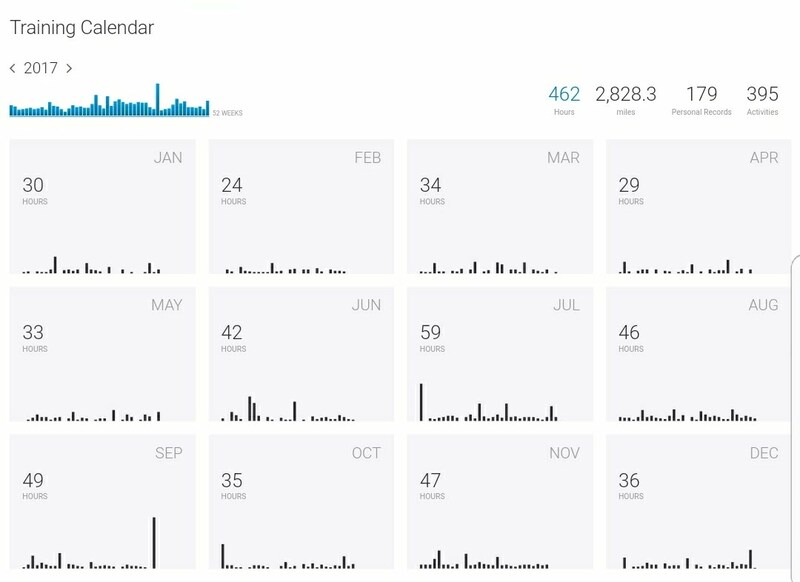 I started my new job in late July so I just racked up the miles in August. I was running half marathons on Tuesdays as training runs and loading up my weekends with back-to-back long runs. The point was to get myself used to feeling exhausted for Hinson. It worked. The weekends on the trails were tough, but I had a lot of fun too. I went to Chattanooga early in the month to watch Jamie compete at the World's 70.3 Championship. 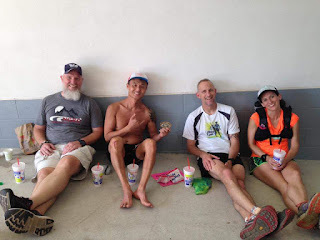 I also managed to see Gary and hang out with some of the local tri people as well. I am kind of obsessed with watching Ironman's (sp?) 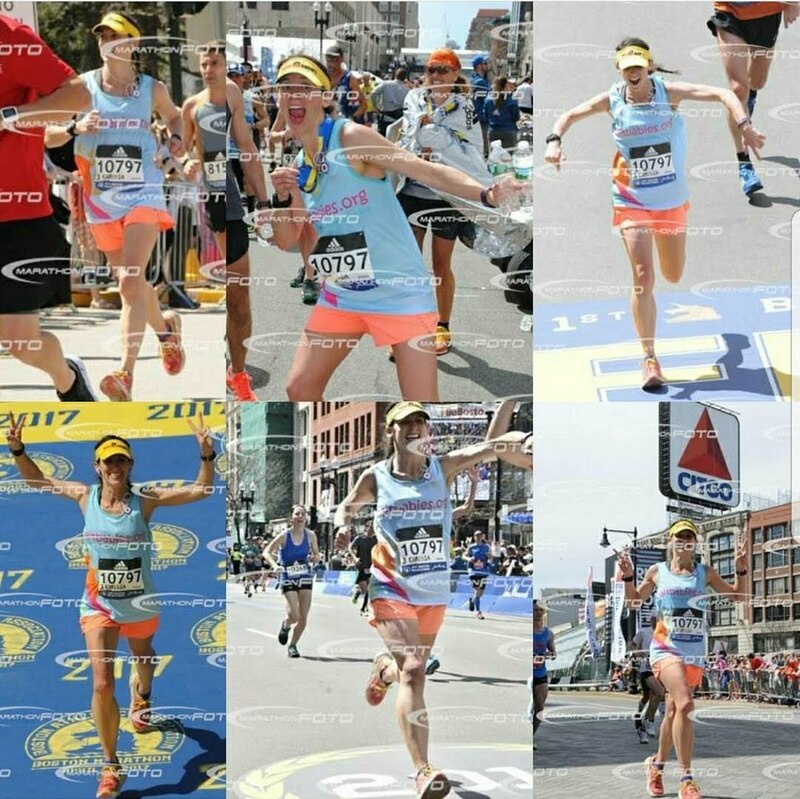 on YouTube as motivation when I run so it was extra awesome to watch a world class event in person. 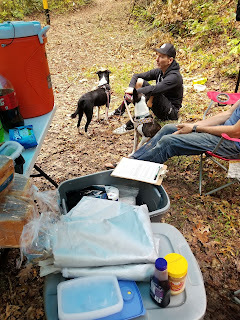 I volunteered at an aid station at the Georgia Jewel for about 8 hours - a really fun way to be a part of the race without having to run! I went into the year thinking I could touch 125 at Hinson, but I reset my goals over the summer and decided to just focus on a PR instead. The weather was a zillion times better than the previous year and I was actually really calm and really relaxed through most of the race. It did get hard and painful as these things do, but my ability to cope was far stronger in 2017. 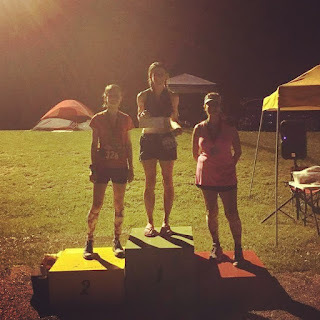 I ended up setting a female course record and came in 1st female, 3rd overall with 115.917. Though it was only my second time hitting 100 miles, I did also set a PR of 19:07 in that distance. 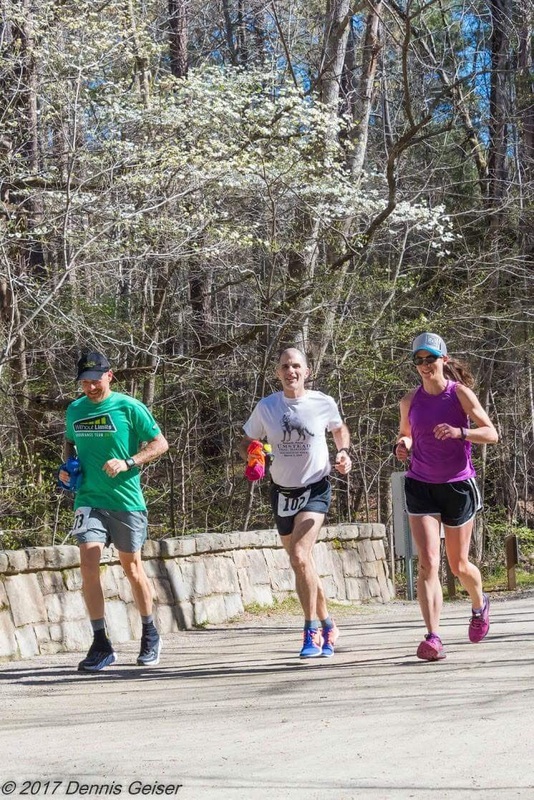 I knew I wasn't going to be in any capacity to run the week after Hinson so I decided to take part in the inaugural Bull Mountain run by volunteering. Anthony and I spent the morning and early afternoon swapping stories as runners came into Booger Holler. He brought his 2 BT mixes with him which naturally made us insta-friends. Adam and I celebrated our 9th anniversary by forgoing the usual fancy-but-forgetful steakhouse dinner and visiting 9 Taco Bells. Ridiculous? Yes. Ridiculously memorable? Also yes. 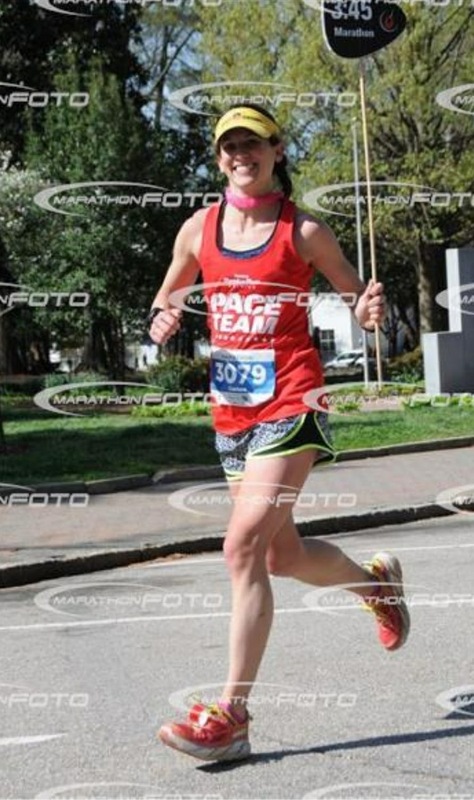 Thanks to my good pal Matt, I dropped into the Greenville Marathon at the end of the month. Still feeling pooped from Hinson, I donned a beer stein costume and ran with the 4:00 hour pace group for about half the race. 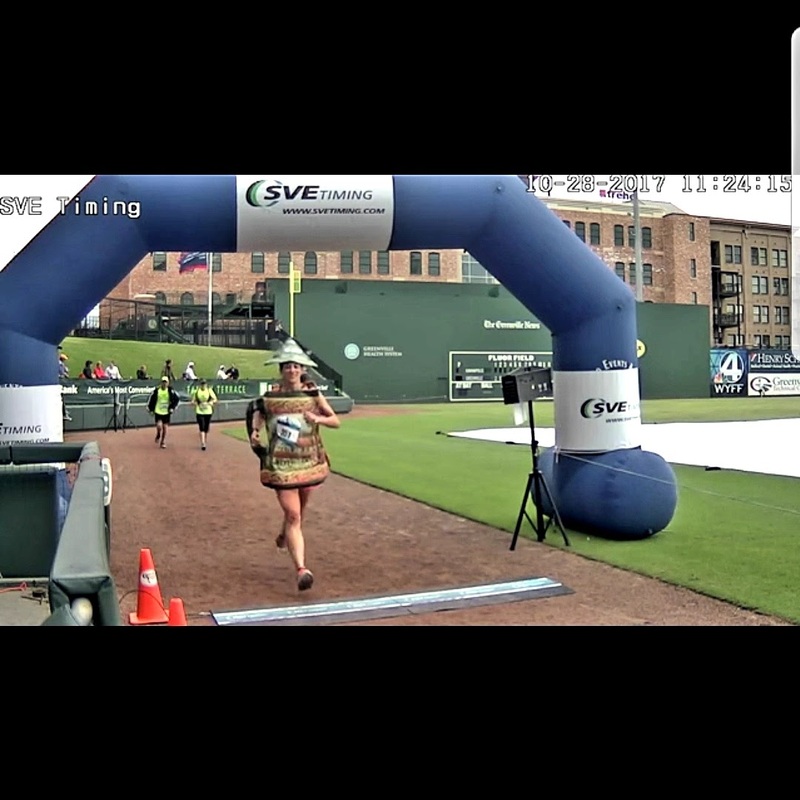 I found my groove and ended up finishing in 3:54:12. I joined Sam and Dan at Pinhoti 100 to pace & crew John. 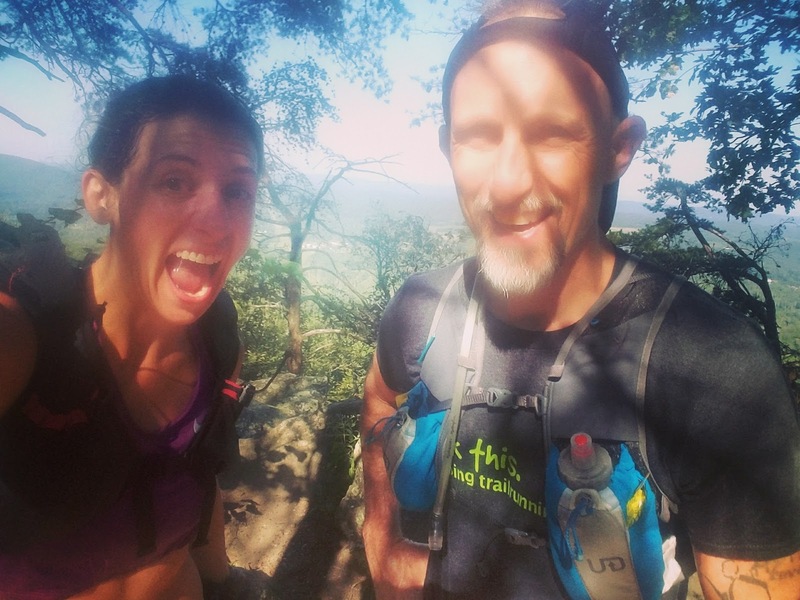 I started the pacing at mile 55, Adams Gap and took him 10 miles through Clairmont Gap and traded off with Dan at mile 65, Chandler Springs. In a few hours, I jumped back into pace at mile 79, Wormy's Pulpit and brought him to the last aid station at mile 93. I was supposed to be done for the day, but I ended up pacing the very last finisher 7 miles to her first 100 mile finish with just 6 minutes to spare. Truly a day to remember! For the 5th December in a row, I made the trek to Rehoboth Beach, Delaware to run and drink beer with my favorite internet hooligans. I had pulled my hamstring so badly on the Wednesday prior that I left November with 197 miles. 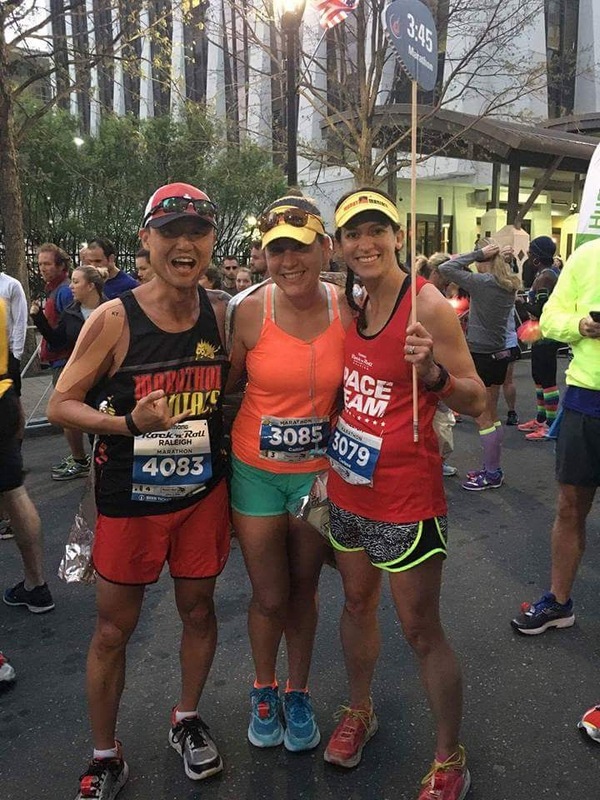 By race day, I felt like I could run again, but I was totally psyched out. The first 10 miles were good, the middle 10 were horrible, the last 10K was great! I finished in 3:27:47 and earned myself a BQ for 2019! 2 weeks later, I was toeing the line with a much happier hamstring and a little bit of extra pressure as I was running in my company's marathon! 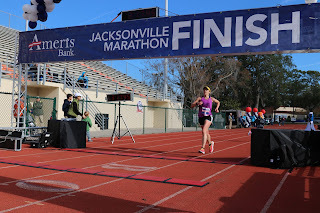 The Ameris Bank Jacksonville Marathon was super duper flat - flatter than Shamrock, flatter than Myrtle Beach! Race day temps were perfect and I was ready to push the pace hard. I felt really, really strong through 20 miles and then held onto in the last 10K for a 3:17:35 finish. My 3rd fastest marathon ever! The last race of the year was yesterday - a very last minute decision to run the 6 hour Resolution Run in Greenville. The top of my foot had felt bruised from the JAX marathon so I laced my shoes super weird and taped it up. I actually had zero pain in my foot the whole race, but my hamstring acted up from miles 15 to 20?? I was thisclose to calling it a day when the pain just kind of disappeared. 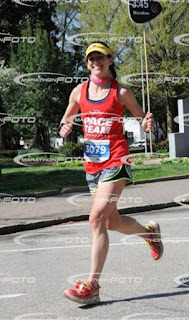 Aside from that, I felt pretty good the whole race. My biggest issue was boredom and as Angie reminded me at Hinson, boredom is good - that means nothing hurts! 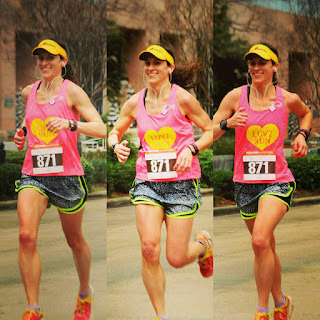 I was super smart about my caloric intake and hovered in the high 8s for the most of the race. I ended up with a 50K PR of 4:32:21 and a 6 hour PR of 40 miles. I have no huge goals currently for 2018 by comparison. 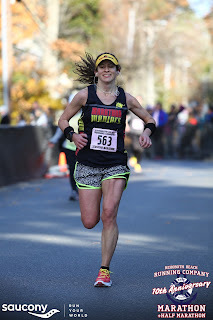 Sure, I'm racing - I'm committed to Boston, Hinson Lake 24, NYC (assuming I get in with my time qualifier), and Rehoboth. I'm quite certain I will fill in the gaps with new running adventures. 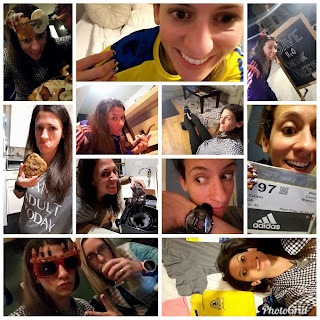 I'd like to volunteer and pace a few times, go on a 2+ night camping/running/hiking adventure, run a "real" 100 mile race, strength and stretch 30 minutes a week (baby steps, baby steps), and prepare financially and physically for running the Everest 2019 Marathon. If I've shared miles, races, "liked" your FB posts, double-tapped your Instagram pic, gave you kudos on Strava, or bantered with you about running via text, thanks for sharing this silly sport with me. 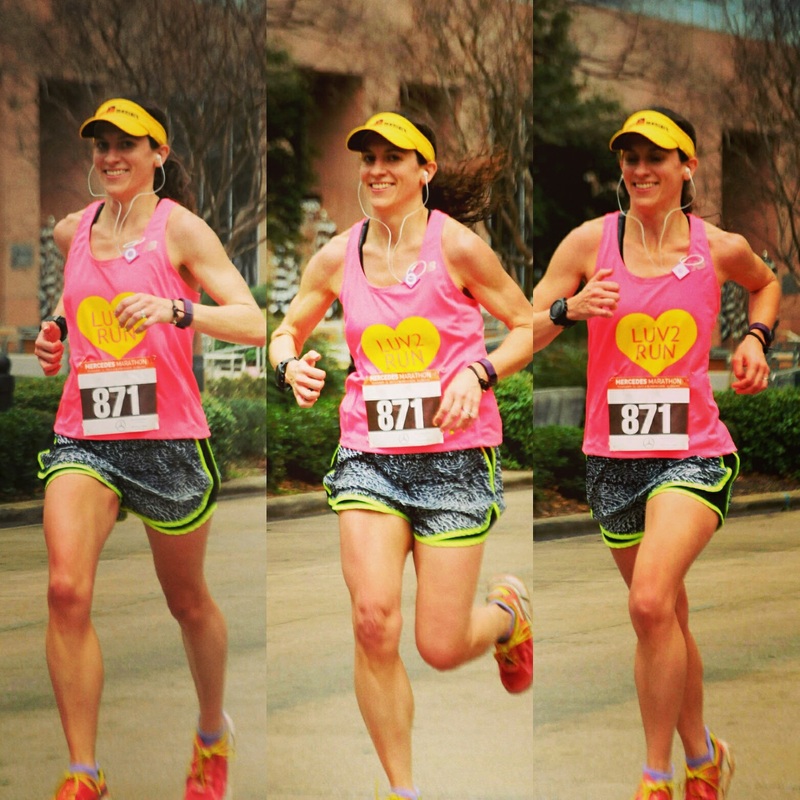 Thank you for sharing your stories and inspiring me to not only be a better runner, but a better human. Despite a few woes, 2017 was outstanding and I am lucky to have so many incredible people in my life. For 2018, let's be in the moment. 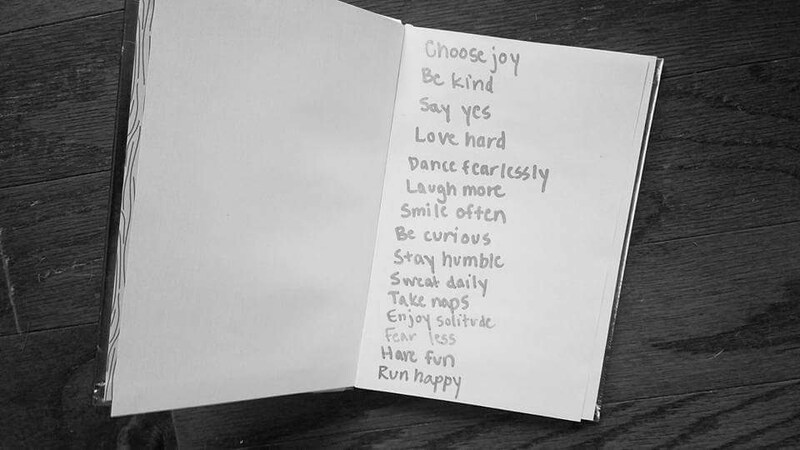 Choose to be happy. If you woke up healthy with a roof over your head and no worries about where your next meal will come from, remember just how lucky you are! 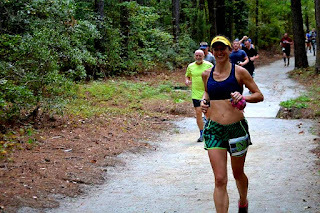 After I finished Hinson Lake in September, word got around the office that I was into running. 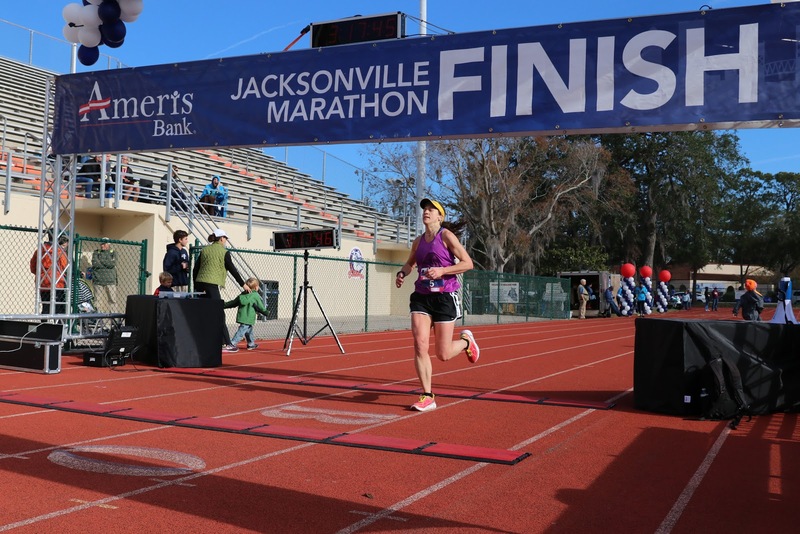 The marketing department at our parent company, Ameris Bank, asked if I was interested in an entry to the marathon they sponsor in Jacksonville. I jumped at the offer (free marathon in driving distance - yes please! ), until I realized I'd have to leave on Adam's birthday. Fortunately, Adam is super awesome and encouraged me to go. He'd go to dinner and see Star Wars with friends and we could celebrate the evening I came back. 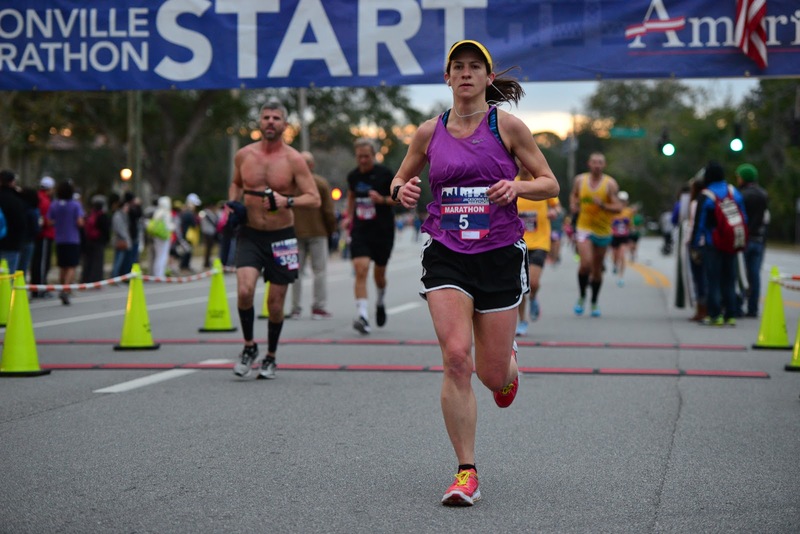 When I signed up, I knew I would just have to see where my fitness was to figure out how I would race. Of course, I wanted to represent the company well, but I also knew that I hadn't been putting the marathon training efforts that have netted me PRs in the past. Rehoboth was so hard and I wondered how the heck I ran 3:13 prior in the year. But I also knew in the first few miles of Rehoboth that I just did not feel strong mentally or physically. 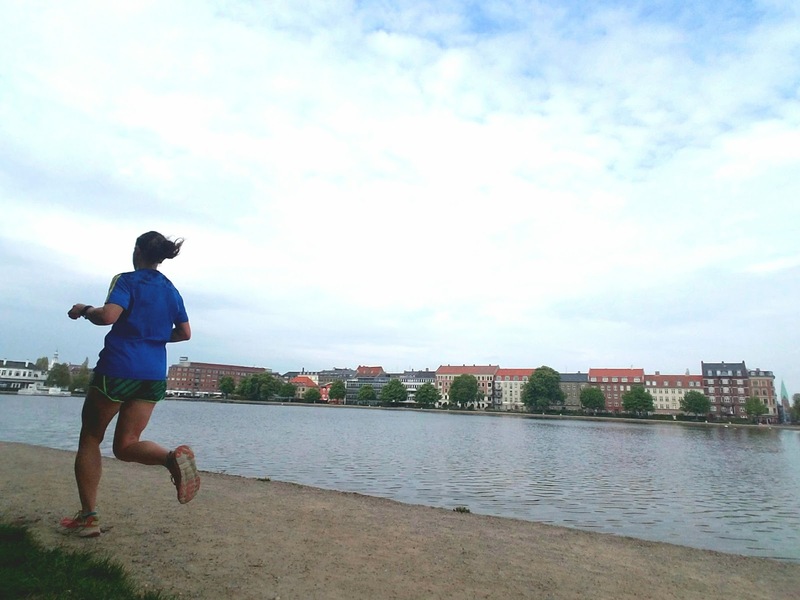 With my runs being all over the place, I was still kind of hesitant to think I was in top form. 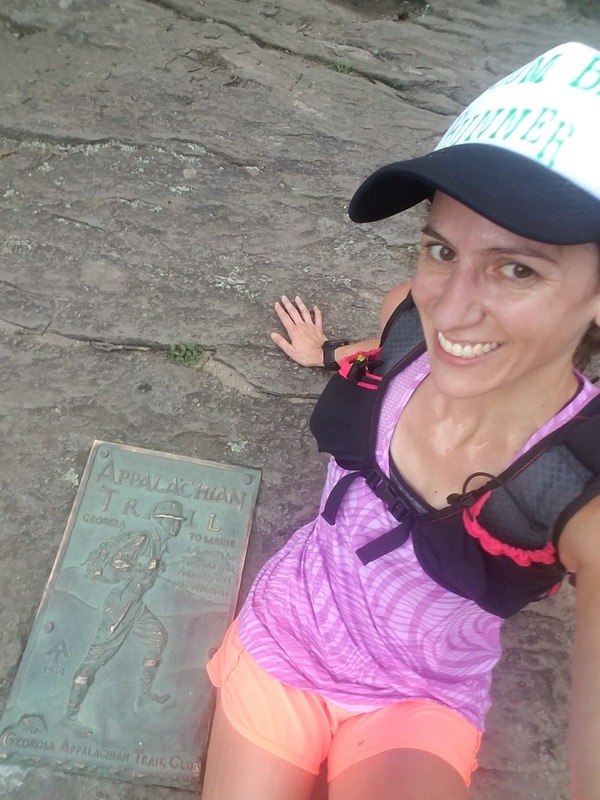 But I laid down 4 miles without rest on Wednesday at a 6:42 pace and while I felt like I was working, the miles felt really controlled and really smooth. It was probably too close to race day to do a workout like that, but I have a hard time holding back when everything comes together. I began my 6 hour drive mid-morning on Friday and arrived to JAX around 4:30 or so. 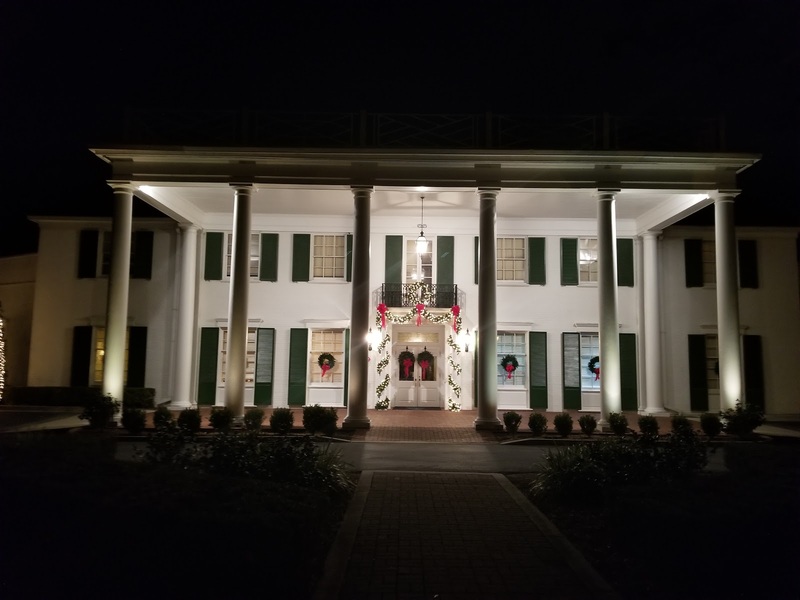 After picking up my packet at the LRS, I connected with some of the Ameris executive team who were having dinner at a beautiful country club. 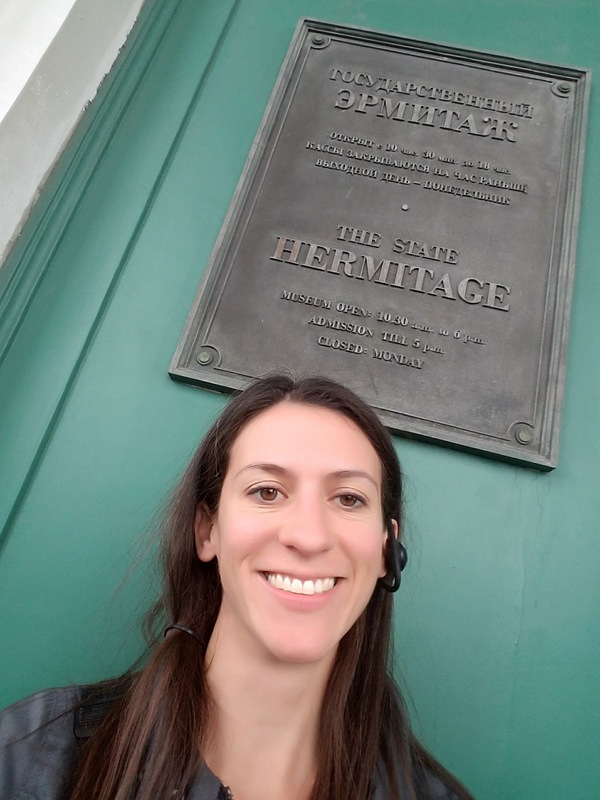 I knew no one when I walked out onto the terrace overlooking the St. Johns River, but everyone was incredibly welcoming and I enjoyed meeting a bunch of really great people. I felt really lucky to be a part of the evening - a reminder that change and chance will often lead to really amazing experiences. 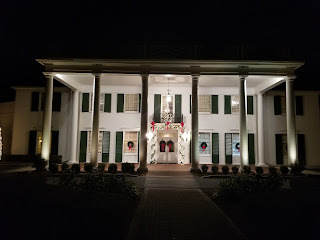 Though I wanted to stay longer and chat, I left around 8:00 p.m. to grab breakfast for the morning and check into my hotel. By the time I laid out my gear and climbed into bed, I was ready to sleep. Fortunately, I had 2 really good nights of sleep prior to race day (much different than Rehoboth!) and felt raring to go when I got up. 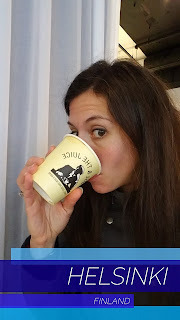 I had a cup of crappy hotel coffee and a sweet sesame seed bun thing I found at the gas station (not a bagel in sight). My plan was to park at the school for $20 and save myself the pain of trying to find local parking. Unfortunately, I got there right after the spots were filled so like a lemur, I followed cars in front of me until I got to residential street with street parking. A pajama-clad woman came up to my car door and told me I could park in a driveway next to her house in an abandoned lot. Another runner pulled in behind me and luckily saved me from later disaster when he told me I left my dome light on! I forgot to grab a heat sheet from my car to wear before the race started and it was definitely chilly in just shorts and a tank. Florida people were wearing long sleeves, gloves, tights, etc. But I knew that if it stayed even that chilly for another hour or two, I would be ecstatic. 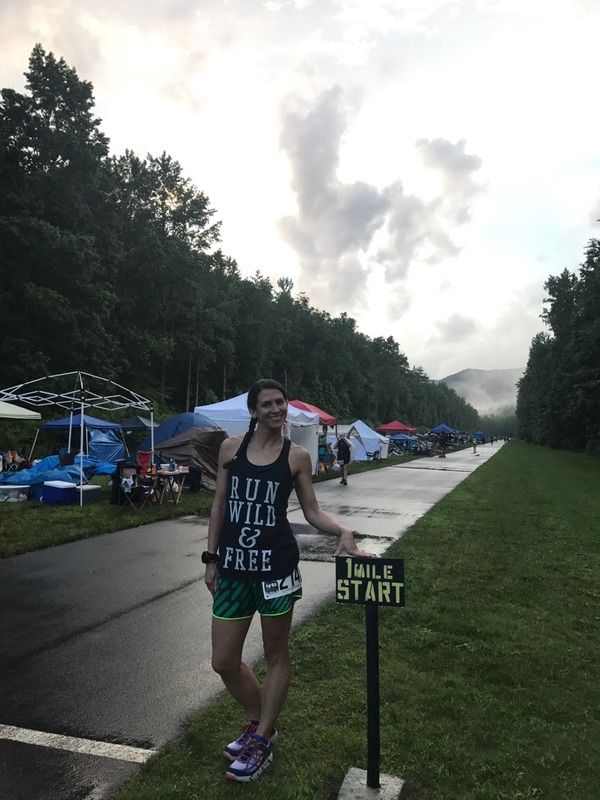 I stood in line for the porta-potties and then meandered over to the start corrals. 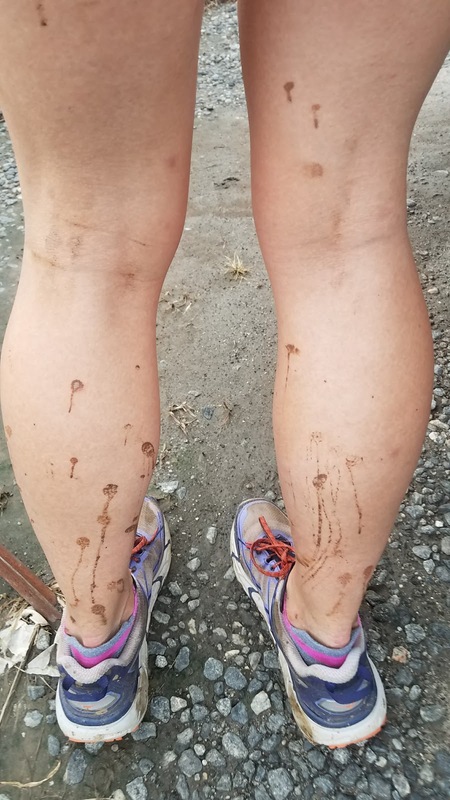 The 5K, half, and full all started together, but I was about 15 people back and most people "looked" like they were placed correctly ahead of me. After the national anthem and a 1 minute head start for the wheelchair division, the race started right on time. 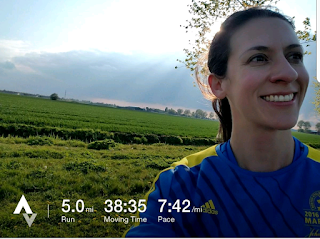 In my head, I wanted to start with a slower mile and then drop down to the 7:30s - after that, I would see how I felt. I truly was thinking I'd run in the low 3:20s based on Rehoboth and feeling rested and race- ready. However, I felt really, really good from the start. I was jacked up and ready to race. 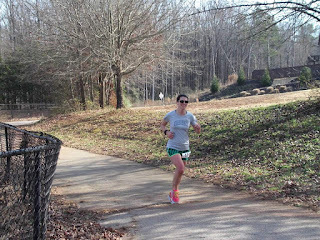 I dropped into my intended race pace within the first half mile, but it felt easy. Of course, in the back of my mind, I feared that it would come back to haunt me, but I told myself to be brave. I kind of feel like I screwed up my nutrition (in addition to everything else) at Rehoboth so I was very conscious to take gels every 4 miles. I skipped the water stop at 1.5 miles, but I did make sure I was getting water every stop thereafter. 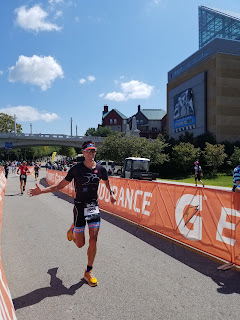 For the first half of the race, I honestly felt like I could feel a little boost a couple of minutes after the gel so I figured that something was working in my favor. 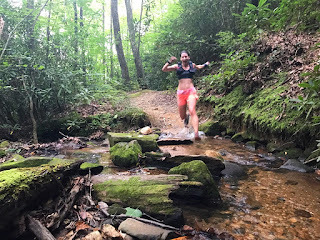 While the long stretches of road were incredibly boring in terms of spectators and scenery, I actually kind of prefer to just put my head down and just run hard. There were no major distractions of turns and I could just follow the shoulder of the road or the white stripe of the center line. I hit the half in 1:36:50 - a perfect time if I had negative split the race! It was definitely lonely in those middle miles. I tried to pick off people when I could and the last girl I remember passing was around the 10 mile point. She'd be the only other female I'd see until I got passed around mile 17 or so. There was no defining turnaround point, but I did start to feel as though the course was headed back north. Luckily, it was completely overcast almost all morning and so there was no sun to discern which direction we were going. 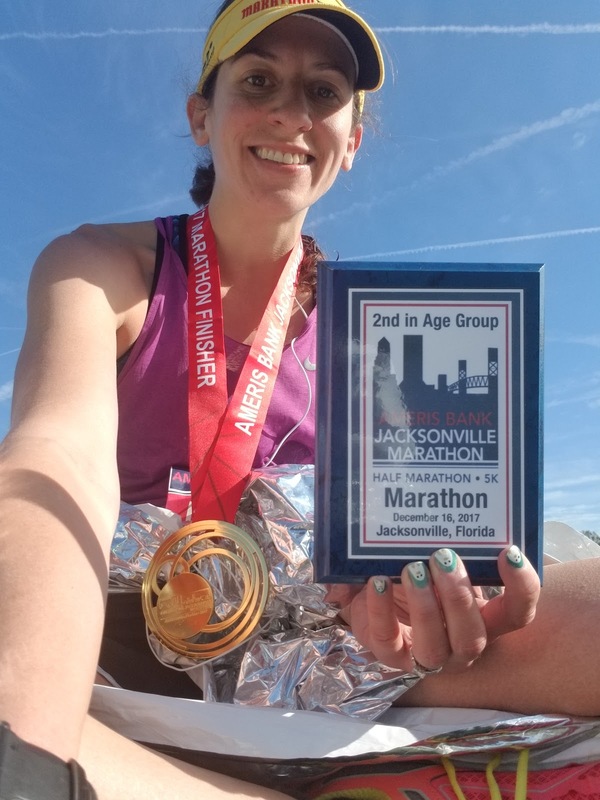 And despite being in Jacksonville, the course was so tree protected that I don't recall it being even the slightest bit windy. I was dumping water over my head to keep cool, but I never really felt warm. A year ago, that would have been a really amazing PR. And it is my 3rd fastest marathon ever just 2 weeks after racing one. I'm happy with the outcome. 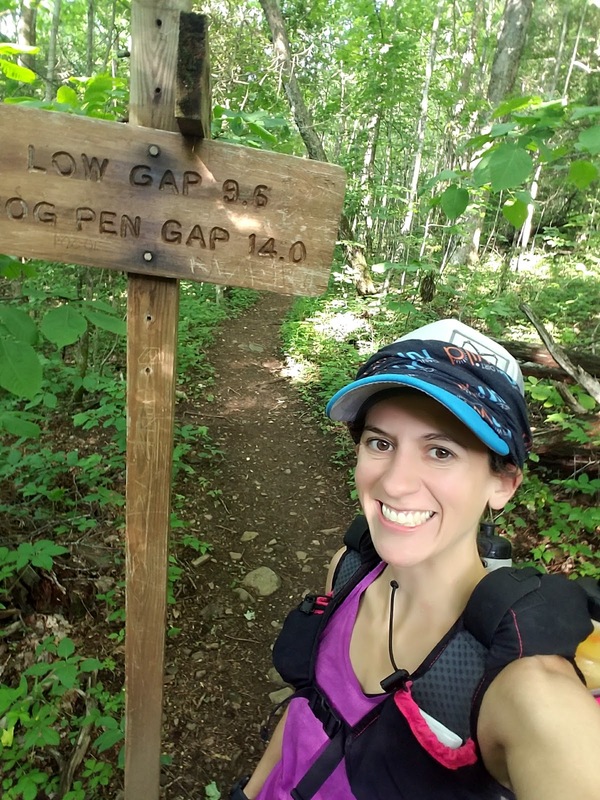 The best part was how great I felt through the first 20 miles - especially the first 10. Those were some of the best miles I have ever raced in my life. I just felt so strong and so confident. After I laid down in the grass for awhile, I started to walk to my car when one of the women I had met the night before called out to me. 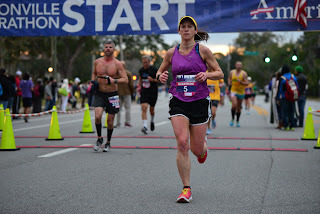 She was waiting on her husband to finish the marathon and so I stayed to grab a few finishing photos for him. 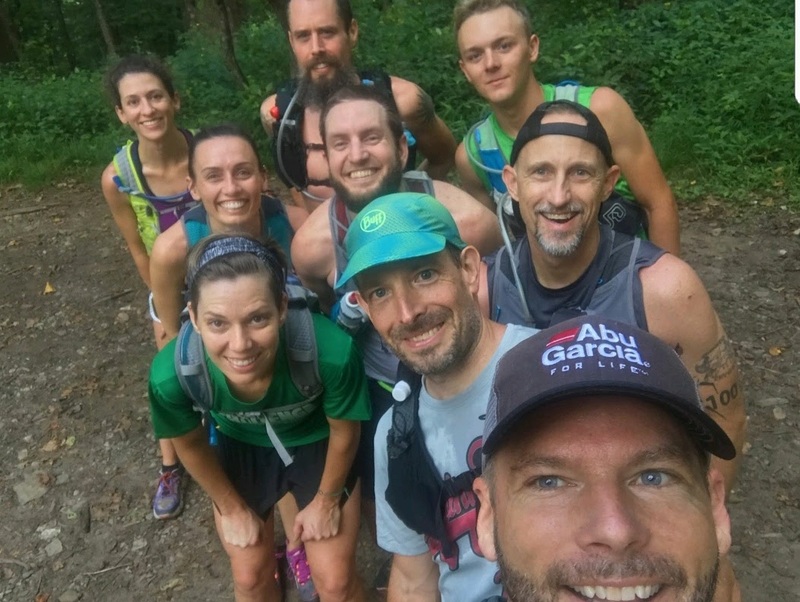 Then we ended up get another great group picture at the finish. I still have no idea what my race plans are for the upcoming months. 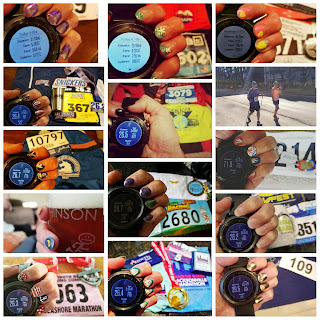 I'd like to drop my marathon time, but I'd also love to race some ultras in cooler temperatures. I have Boston, NYC, and Rehoboth on the calendar for next year, but I'm waiting to figure out how I fill in the blanks.